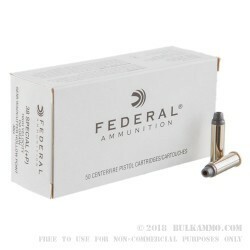 +P ammo - please use in approved firearms. 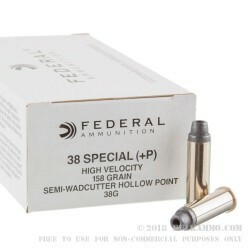 The G-Man Special – 38 special ammo you can trust. 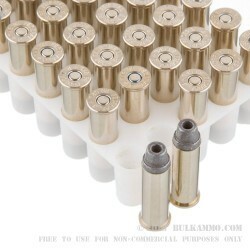 This is the very same ammo the FBI relied upon in the 1960’s and 1970’s for their duty revolvers. 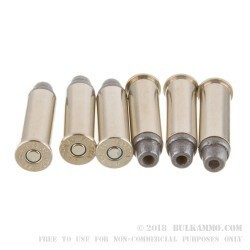 These all lead, semi wadcutter hollow points are hard hitting and offer a unique insight into timeless ballistics. Even now, with many thousands of hours of dedicated bullet engineering and hundreds of new ways to attack the ballistics argument, this load performs and it relies on the same basic formula for success. The penetration, mass on target and wound channel of these rounds is what gave them their prowess, back then and today. Excellent penetration with the extra potent powder charge (+P) and heavy hitting 158 grain (900 fps muzzle velocity) semi wadcutter bullet is a hole punching round with slight expansion, but all the energy dump (285 ft. lbs. of energy) thanks to the retained weight on target. It’s a combination of ballistic variables that just add up to stopping power. As unassuming as this round is, it’s a powerhouse for those that still rely on the .38 special round. For targets and for protection, this is a fantastic round int his caliber. It is suitable, albeit a bit smoky for some shooters, for use in any .38 Special which can handle the +P load. Generally this does not include lightweight framed revolvers, please check your operating manual.